The Committee on Armed Services in the U.S. House of Representatives this week passed the National Defense Authorization Act (NDAA), H.R. 4909, which authorizes our nation’s defense spending. 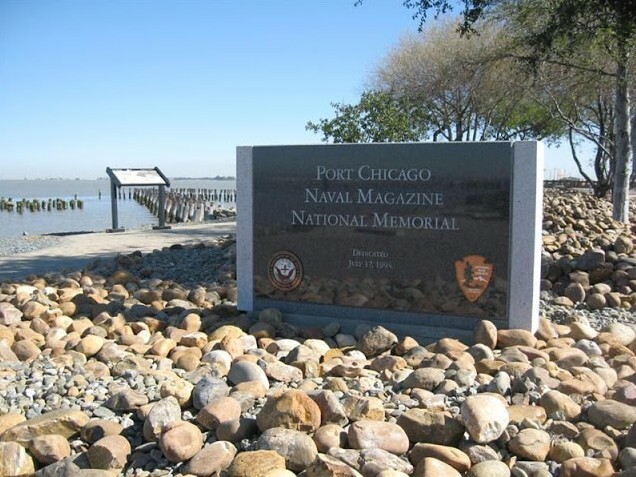 Included in the bill is a provision offered by Congressman Mark DeSaulnier (CA-11), which would require the Navy to investigate the circumstances surrounding the treatment of sailors at the Port Chicago Naval Magazine in Concord. The NDAA now moves to the floor of the House for consideration. Progressive Liberal Democrats fixing the past. Nice to see someone taking responsibility and owning up to past transgressions. We’re not perfect and should acknowledge it to do better in the future. Ok, another waste of time and money looking into the past while citizens are being robbed and assaulted at the Bart station in the present. My only question is – what are they trying to accomplish here? If it turns out that these men were unfairly treated – what is DeSaulnier going to do about it? Additional tax payer funds for a memorial ? Reparations to family? I saw a big demonstration on the news with Armenian people demanding the government recognize the Armenian genocide. I wondered why they were doing this ……. Until I paid closer attention and saw that the demonstrators want reparations. Ok – now I get it. Kinda think this is the same thing. Someone stands to profit from this. I agree with TIFOKCIS#1- What is the purpose of starting an investigation of a 72 year old disaster? It’s part of the systematic rewriting of history by the politically correct.Of course we should expect such during an election year. Since the cause of the explosion was never determined, and there is no new evidence to surface, then it is a total waste of time to delve into the subject. Creating martyrs for left wing causes will apparently never cease. Winning the war and going back to business as usual showed a callous disrespect to those who gave all. AKA, We ain’t paying no stinkin retribution. So far our history shows the Blue side only won on paper. How about working to make sure we have enough water to survive and improving the infrastructure? How about doing something, anything, more that just these worthless “feel good” costly and wasteful programs that do nothing? How about going back to being a bartender, suites you better. Has nothing to do with national defense. Let’s try this on for investigation: they were mutineers, they were given the option to return, they refused. They were tried, convicted, and their terms were not only short for treason, but they were communicated quite quickly. We’re not re-writing history because you’re a political pandering fool, Mark. For those of you who want to change the past you must change in the present otherwise that will soon be the past again. Let’s put on our thinking caps. DeSaulnier wants an investigation by the Navy. Fair enough. Kind of putting the cart before the horse . How many soldiers and marines went on strike attacking Normandy? @bacon – that requires him to take a stand and actually do some work. We all know politicians are afraid to stick their necks out and make a commitment – other than through a carefully-worded statement via their handlers. It’s all about feeling good….part of the “everyone gets a participation trophy” mentality. This is just a diversion. What we should be investigating is the perverse actions of this former State Congressmen/State Senator and Ca. Congressman that thought it was a great idea for Elementary school kids to choose their bathrooms on a given day depending on what their gender identity thinking was or the perverse pressure from their ill suited parents. Please spare us Congressman! Oh, puh-leez! Race or ethnicity is not the issue here. The point is, we cannot view or change history through the values and morals of today. It’s impossible to right all of the wrongs that occurred in the past – especially when there are plenty of “wrongs” occurring right now. Let’s learn from the past – not waste time trying to change it. So how are we supposed to learn from our past…if we don’t look into our past. or if these were wounded veterans or a MIA veteran. These men signed their life away for our freedom and should be recognized accordingly. I agree – learn from the past. Don’t try to alter it – or fix it after the fact. OMG! DeSaulnier GO DO SOMETHING IMPORTANT. What’s to investigate? There was a huge explosion and a bunch of sailors had a sit down strike because they were scared of getting killed. Like the Marines at Okinawa, Guadacanal etc. Oh wait a minute , the Marines just kept fighting for their country . Never mind . GoGo#21/owningthepast#9 How can you look into something that old and come up with the cause of the explosion, if it wasn’t possible then? It’s not a racial issue as a lot of whites died there also. 202 Blacks and 118 Whites died during the explosion. We will never know the real cause of the Pier 1, as the witnesses and the evidence were destroyed in the blast. Witnesses further away reported a metallic boom, then an explosion followed by the big blast. That’s about all we know. Everything else is purely speculative. As far as the mutiny goes, disobeying a direct order is the very definition of mutiny. We do need to learn from our history so we don’t repeat the same mistakes and use actions and policies that work. This disaster was a tragedy and it’s survivors (or their heirs) should be recognised and compensated. The Government should not do something this stupid again. With Mark in congress, you can bet they will. Lincoln was assassinated to slow/prevent reparations to all the former slaves. His successor, a southern sympathizer did not want to rest next to Lincoln. So what did the freed, broke slaves have to start their lives in America. A worthless 5 Generation IOU. There is a not to well hidden pattern here. You are right . Reparations should be paid to the strikers and or their decendants. Being forced to work at something dangerous in a war was clearly a bad idea. Sorry, my comment sent before I finished it – Anyway, I would think that these soldiers families would’ve received death benefits through the government since they died while on active duty. With everyone arguing about reparations – I wonder if families got an insurance payout years ago. Does anyone know the answer? Given that mindset should those who died during landing on Omaha Beach in France on D Day also be compensated because it was dangerous? Lemme guess, you’re a liberal. How about Veterans being ignored by the VA? Impress us, do something for out living Veterans. DeSaulnier is part of the far left crowd who loves the idea of reparations . Could it possibly be an election year …….. ???? It would not hurt some of you people to look into your American history a bit. Really, it’s pretty interesting, and fairly painless. “Some of you people”, that says a lot! #36, Really, who could it hurt? Is this really necessary? We all know that mistakes were made in the past.. why do the people in charge of doing right with our money, consistently use it to screw us over? Hurts nothing to look into it. My objection is De Saulnier wants the mutineers exonerated and then an investigation to boot. He has it backwards. Nothing new there. I am curious. If a soldier about to enter a landing craft on D-Day looked eastward to Omaha Beach and said, “Wow, that looks really dangerous; I refuse to follow orders and get aboard the landing craft,” what would have happened to him? The answer is, he would have been court-martialed or perhaps even shot then and there by his commanding officer. I also wonder if Mark D. was so quick to spend his own money unnecessarily when he was a tavern owner. Is this expenditure really necessary when we have a national debt of $19,000,000,000,000.00. I make a pretty decent living, and I am not really upset about how much I pay in taxes; even though the total of fed/state/property/sales etc. approaches 45% of my salary. However, I am upset when my money; yes it is my money, is not spent wisely. Spend this money to build or repair something useful and create jobs in the meantime. We do not need to solve the mystery of whether there was racism in the military during WWII. We all know there was. There you go; mystery solved. Spend the money; including mine, more wisely. Did You ever see what they served those Men on their last Thanksgiving Dinner? I think that it is alright to look back at the obviously biased mindset that led to these soldiers deaths, not on enemy grounds but on American Soil. They should be exonerated but not compensated in my view. This was a tragedy that could have been prevented if they were trained and supported by their own government and Navy. If this tragedy was forced upon your white grandfathers, there would be hell to pay and you know it. PO’d at number 24, anyone who wants to see proof of causes of the disaster (and to understand why the black men refused to keep right on loading under existing conditions) should make the short trip to the Rosie the Riveter National Monument located in Richmond. It is on the waterfront next to the old Ford assembly plant for WW2 ships. There is a CNWS display, pictures, documents, artifacts, paperback history book for sale. Once you see the display, you will be embarrassed by the derogatory comments you (and others) have made here. I love how most of the comments here have nothing to do with the Port Chicago disaster…I can actually bet most of you have never even read a books about the subject. You just live in Concord, and ignore how that base was operating in WWII. From the comments above, you don’t even realize that there is a National Memorial run by the National Park Service. Educate yourself before you make a comment, specially when it’s about 258 men who stood for their rights, 50 convicted of mutiny, 320 men who died…FYI this disaster actually leads to the desegregation of the Armed forces. Look up the definition of mutiny…then read a book about the disaster…then make a judgement. Last time I checked, you have to overturn your superior and disobey an order…being on a prison barge outside of Mare island doesn’t sound like overturning any officers..oh you probably didn’t know that because you haven’t researched the subject. Hispanic, Asian or Native American we wouldn’t be having any of this insanity. Tendril#43 If you have a theory as to how the explosion happened, please tell. Nothing I said was derogatory, unless you consider not agreeing with you derogatory. You can backwards engineer a 70+ year old piece of history to say want you want to say fairly easily. There is even one theory that it was a nuclear explosion! The official Navy photos have been on various websites for awhile thanks to Fia, and it clearly shows it couldn’t have possibly been an atomic explosion. Yet, a book was written to show evidence that it was. The most reasonable IMHO is that a crane boom cut loose, and dropped ordinance causing a small explosion followed shortly by the big one. What about the 118 whites killed? Did the any of the surviving white sailors mutiny? most explanations being offered now are revisionist in nature. perceived moral high road. The military (especially then) didn’t and doesn’t work that way. It always runs downhill. PO’d – did you really say “how the black sailors we spooked” – wow I am triggered now – not – what a patronizing waste of time form a Congressman who is just incompetent leftist hack at best. Simonpure on National Prescription Drug Take Back Planned For Saturday April 27 In Contra Costa CountySimply peel off the label. Just did it yesterday when I finished meds so I could recycle the container. Tammy on Amy’s Kitchen Proposes New Drive-Thru Restaurant In Walnut CreekSaves me a drive to Rhonert Park!!!! Dorothy on Amy’s Kitchen Proposes New Drive-Thru Restaurant In Walnut CreekHas to be drive-thru because not many can afford to park and eat inside. WCreeker on Amy’s Kitchen Proposes New Drive-Thru Restaurant In Walnut CreekI vote yes!!! 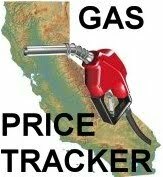 Dr. Jellyfinger on Bankruptcy Judge Allows PG&E To Pay Up To 10,000 Employees $235 Million In Bonuses For 2019EZ.... just raise the rates. wcmom on Amy’s Kitchen Proposes New Drive-Thru Restaurant In Walnut CreekFinally! gittyup on National Prescription Drug Take Back Planned For Saturday April 27 In Contra Costa CountyThe information found on the original container is privileged and private medical information and what guarantee is there that it will be held in confidence? https://bestwatches.club/ on The Water Cooler – What Is The Most Beautiful Place You’ve Ever Visited?Excellent way of describing, and good article to get facts concerning my presentation subject matter, which i am going to present in academy. Middefinger on BEWARE: Rattlesnake Soaking Up The Sun On The Ohlone Trail In Lime RidgeLooks just like the one I ran over with my bike on Sunday. Beep beep!! !